Developed for the Air Force in the early 1950s as a next-generation interceptor following Convair's pioneering delta-wing F-102, the F-106 excelled in every aspect of the Air Defense Command mission. With its advanced Hughes radar system, Falcon air-to-air missiles, and a top speed in excess of Mach 2, the Delta Dart became known as "the ultimate interceptor," able to scramble, launch, find its targets, and blow them out of the sky. The 'Dart was also the lightest-weight aircraft ever powered by a Pratt & Whitney J75 turbojet. 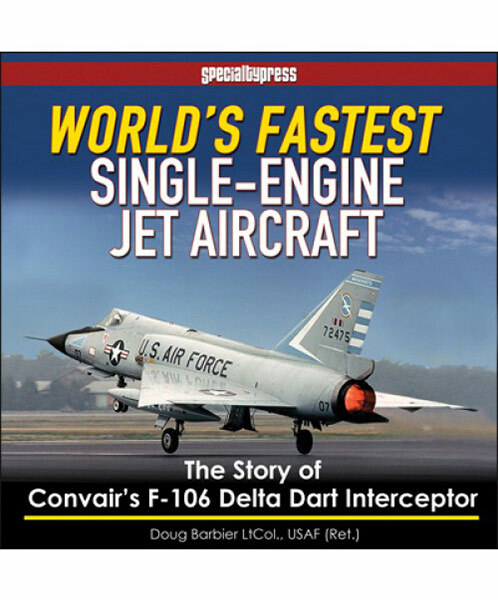 This book provides an insightful and in-depth look at the sixth member of the Air Force "Century Series" family of supersonic fighters. From initial concept through early flight test and development and into operational service, every facet of the F-106's career is examined and explained in comprehensive, yet easy-to-read text. All USAF Air Defense Command units that operated F-106s are covered, and aircraft markings and color schemes are included as well. The Convair F-106 remains to this day as one of the most successful military aircraft ever built. This book now gives the reader a thorough and meticulous reference source on the F-106 using excellent photographs and technical illustrations to tell the story of this history-making aircraft, while also providing valuable detailed information for modelers and historians.